Pega is helping enterprises become future empowered by revolutionizing their customer engagement with end-to-end automation and real-time AI on the only unified CRM platform. With Pega, the world’s leading brands sense customer moments of need in real-time, act using prescriptive, analytic-driven insights and adapt based on the results of every interaction­ to optimize future performance. Work for Pega Customer Engagement Suite? Learning about Pega Customer Engagement Suite? "Pega Customer Engagement through Decisioning and Marketing"
Pega's capability to configure marketing campaign, use decision logic to drive campaigns, omni channel marketing usage, ability to implement always on marketing concept makes it the industry leader when it comes to customer engagement. It is always updating itself with the latest market trends and enabling users to implement the same at their applications. Less support from Pegasystems on marketing and decisioning issues and problems. Materials and how to's are not easily available to design or troubleshoot. Real time marketing, Offering products to customers, Product campaign launch etc are the business problems we handle using Pega. Benefits are ease of design and maintenance, ablity to involve business in designing decision logic and strategies. I didnt find any business problem to resolve. "Revision de Pega Customer Engagement Suite"
"I had a major about the plataform"
Easy to use - draw workflows - best suport. High Knowledge curve, because Brazil Culture. The application is very intuitive and also very easy to use. Materials and how to's are not easily available to design or troubleshoot. I recommend getting the trial first just to make sure it’s right for your business. Provide consistent and transparent information to the customers whether they access their accounts through web and mobile application, phone call and/or chat. Do the trial first, see if the solution is the right fit for your business. The applicatuon is intuitive and well documented for end-users to use. This is a large application and complexity is high. Customer relationship management and process management. Pega’s ability to logically format and drive marketing campaigns. Troubleshooting aspect of software is lacking. Gauging customers needs and wants in an analytical way. "Very good tool except for a few bugs and UI creation challenges"
Ease with which call center or similar applications can be developed. 1. There are a few bugs in the internal programming logic of the CPM framework. Although the Pega support team provides hot fixes, on several occasions these hot fixes have introduced issues of their own. 2. Creating a user friendly UI is difficult in the Pega product itself. 2. A strong foundation that is scaleable and extensible and is capable of supporting several applications is needed. Intent driven and guides the users through the right steps to complete the workflow. There is no guessing or training needed to help the user to do what they are expected to do. Pega CRM is a very good product and I have heard of many more implementations in the recent past. I have not personally worked on it in the last 3 years, but have heard good things about the product. 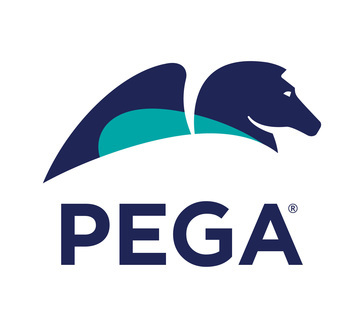 Pega constantly upgrades their products and keeps up to the changing needs. So, I am positive that Pega CRM is headed in the right direction. Worth considering! * We monitor all Pega Customer Engagement Suite reviews to prevent fraudulent reviews and keep review quality high. We do not post reviews by company employees or direct competitors. Validated reviews require the user to submit a screenshot of the product containing their user ID, in order to verify a user is an actual user of the product. Hi there! Are you looking to implement a solution like Pega Customer Engagement Suite?